Twenty-three years ago this June, the doors to the Navy Junior Reserve Officers Training (NJROTC) program at Flour Bluff High School first swung open. It was a quiet grand opening, with only the inaugural instructor for the unit being present for its inauspicious beginning. The school did not know what was expected of them, and neither did I as the Senior Naval Science Instructor. Shortly after my arrival, pallet after pallet of material commenced arriving, and only my son and I were there to receive it. Even though it was summer, it didn’t take long for inquisitive future cadets to start checking out the activity that was taking place in the new NJROTC spaces. As quickly as those first recruits poked their heads into the building, they were just as quickly put to work, and established as “plank owners” of the nascent program. They were an energetic bunch, and they had total faith in their new instructor. Inwardly, I hoped that their faith in me would not be misplaced. We all worked hard to ensure that when school started in the fall that our new home would be ready to accept every student that wanted to undergo a new and challenging adventure. NJROTC is a student leadership laboratory. The development of those leadership skills is facilitated through the use of military drill. The rationale for that approach is that drill is a great way for students to learn to work with a diverse group of individuals and then to mold them into a cohesive, focused unit. One difficulty in executing that plan is that this Naval Officer, in particular, (and Navy officers, in general) had not drilled since first entering the Navy almost 22 years previously. How was I going to teach drill? Knowing my limitations, I checked at the local Marine Reserve Unit at Naval Air Station Corpus Christi and was fortunate enough to find a Marine Staff Sergeant assigned to that unit who had just come off an assignment as a Drill Instructor at Marine Boot Camp. He volunteered to help me out two or three times a week. As he helped instruct my students, he was secretly instructing me. I quickly found out that I truly loved the beauty that drill presented, and as a consequence I soaked up as much as I could, as quickly as I could. As strange as it may sound, I found I enjoyed dissecting the mundane and innocuous details of the Marine Corps Drill Manual. This new-found passion led to a logical conclusion; I became the coach for the Flour Bluff NJROTC drill teams. I pushed drill team kids extremely hard. I may not have fully understood that what I was asking these kids to achieve was nearly impossible for them, and they were too naïve to realize that what I was asking was probably beyond their capabilities. The result, however, was that they felt that if I was asking for them to accomplish something, then it followed that I must believe that they could achieve it, and in most cases they did. They reached heights that no first-year program had ever achieved, and most programs have never come close to achieving what these kids did in their first year. 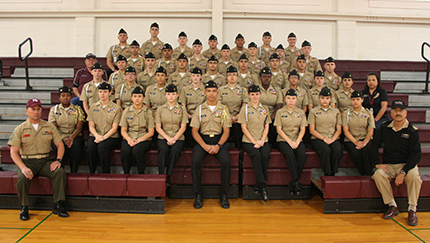 Flour Bluff NJROTC became an Honor/Distinguished Unit in its second year, even though the Navy had originally mandated that a minimum of three years was required to attain that status. For the next 21 consecutive years, we have maintained Distinguished Unit status. 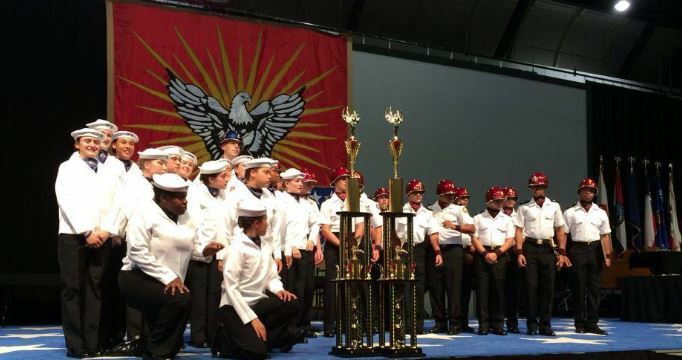 Also, in the second year, Flour Bluff NJROTC competed and won its first State Championship, and never relinquished that title for the twenty years that followed. In 1997, Flour Bluff NJROTC won its first Navy National Championship, a title it kept for the ten consecutive years. 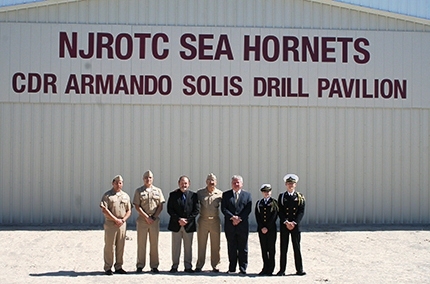 In 2000, Flour Bluff NJROTC won its first All Military Service National Drill Championship, the first of a total of 16 All Service National Champions that it has won since. In 2013, Flour Bluff NJROTC won the Navy National Cyber Patriot Championship in Washington, D.C. In 2015 and once again in 2016, the Flour Bluff NJROTC Academic team qualified as one of eight finalists for the National Academic Bowl Championships in Washington, D.C. Twice the Navy League selected our program as the Best Navy JROTC program in the nation. We have had cadets receive appointments to the Naval Academy, to the U.S. Military Academy at West Point, to the Air Force Academy, and to the Merchant Marine Academy. Scores of cadets have earned ROTC scholarships to Harvard University, MIT, Rice University, University of Texas, Texas Tech University, Texas A&M University, and many other colleges and universities throughout the United States. I will never take credit for the success that our program has enjoyed. Even the most skillful of sculptors cannot create a masterpiece without first being provided with a magnificent piece of marble with which to work. Our success starts and ends with our students. I give much of the credit of our success to those kids who first joined me in starting our program back in 1993. They were willing to work hard; they were willing to persevere through extremely tough times; and they demonstrated a dedication and a commitment that has become the bedrock of our program. The legacy that those young men and women created has been passed down from one generation of Flour Bluff cadets to the next. Our kids do not know how to quit, and because of that determination, Flour Bluff NJROTC will always shine as the example that others strive to emulate.